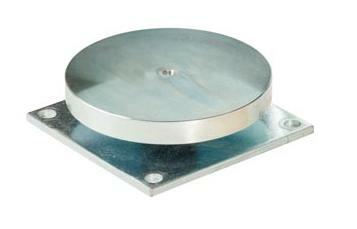 Keeper plate S05 is recommended for the installation of sliding doors. It's composed of a disc and a steel plate, with four holes for fixing. 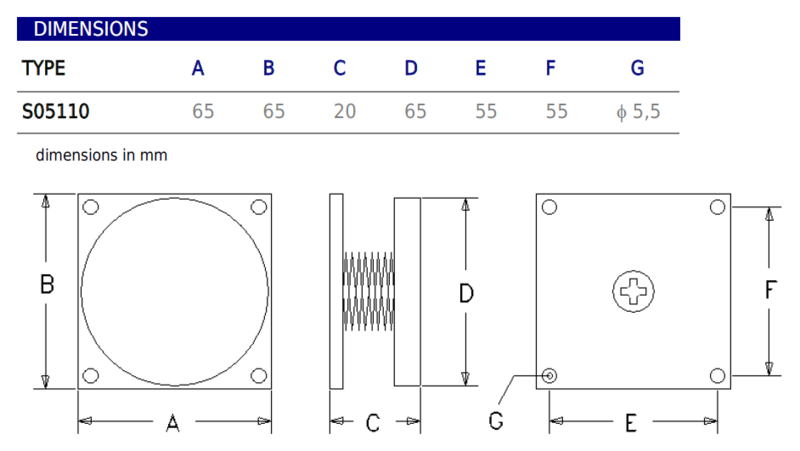 The disc is amortized to the plate by a strong set of springs. These springs have the capacity to absorb strong intensity hits. By the closing of the door, on the bottom of the plate, the screw is subject to a movement of about 6 mm. This means that keeper plate S05 has to be fixed on a surface with a central hole suitable for the movement of the screw itself. I want to receive information on the page "Model S05"